Earlier this week, we celebrated my mother’s seventy-fifth birthday. As I look at the journey I still have ahead of me, seventy-five no longer feels far away. And the idea of that fact makes me feel tremendously anxious. There is so much more I still hope to learn and accomplish in the coming decades. My mother was born in Siberia during the war. Though her memories of those very early years are dim, her recollections of life in a Displaced Persons camp in Ulm, Germany are sharper. 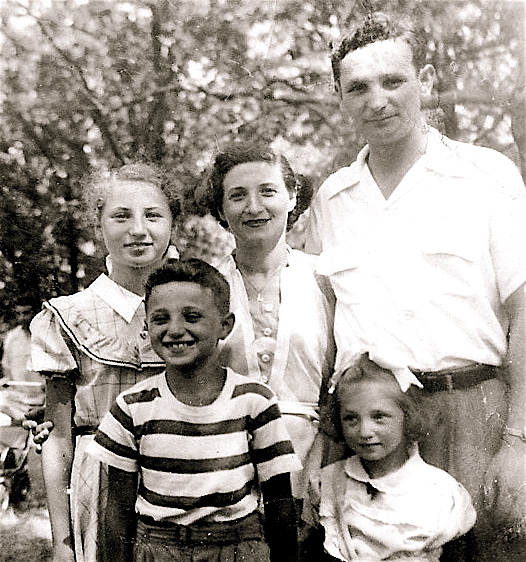 There she went to school and lived amongst family and others who were Jewish, Yiddish-speaking refugees from Poland, Russia, Ukraine and other European countries. There was much poverty, illness, hopelessness, and many challenges to deal with as people tried to rebuild their lives. Being part of a group known as Survivors was a core part of her identity. It was in this camp, a compound connected to a police station and surrounded by barbed wire, that she waited for the “Gold Ticket” that eventually would grant her passage to America in 1949 when she was nine. With no college degree, my mother seemed able to find jobs. Without being a “women’s libber,” she always worked and had a voice in our home that was equal to Dad’s. She was a secretary/receptionist; worked in the accounting department of TWA; co-operated a nail salon with her sister; and even sold high-end products in a bath shop. She also approached her numerous volunteer roles as though they were paid full-time jobs. Mom has been able to thrive on raw intelligence, pure common sense, and highly developed people skills. And when it was time to contemplate slowing down, she moved to Florida to be close to – and be able to help care for – her parents. Many think I look like my mother. Others say I sound like her. We are both first-borns and we know how to go after what we want. We are “half-full” types of people who know how to make lemonade from lemons. Yet, she and I know that we are very different people…I am not the good “self-less” daughter that she is. I’m just not. But she also knows that I tremendously respect the road she’s travelled and appreciate the numerous things she’s done to pave the way for my own trek. At the end of the day, I know that her lessons laid the groundwork for my own passions, commitments, and love of family. I love you, Mom. But, no, I’m not moving to Florida. What a beautiful tribute to your mother. I could not have said it better. I don’t expect you to move to Florida but one never knows!!!!! I love you very much and thank you for the great blog.